A thug punched and kicked a reveller during a night-out in Chesterfield because he was convinced he had been touching his girlfriend in a nightclub. 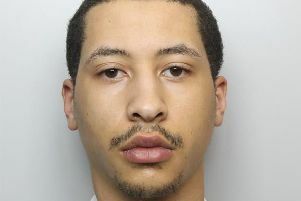 Chesterfield magistrates’ court heard on Tuesday, September 20, how Ethian Falconer-Layton, 18, of Tennyson Avenue, Chesterfield, was captured on CCTV attacking and pursuing the man after a row had developed at the Vibe club. Mr Cooper added the complainant ran off towards Durrant Road where the CCTV camera panned round and the defendant took the other male to the ground and he was throwing punches and kicking him to the body. Falconer-Layton told police the unknown male had touched his girlfriend’s bottom and this had started an argument and the unknown male had been cocky before he punched and kicked him. The defendant said he was disgusted by his actions, according to police, after he had been shown the CCTV. Mr Cooper told the court the other male refused to engage with the police enquiries. Falconer-Layton pleaded guilty to using threatening behaviour after the incident on September 2. Mr Strelley added the defendant claimed he had been pushed by the unknown male whom he also accused of throwing a punch at him. Magistrates sentenced Falconer-Layton to a 12 month community order with 40 hours of unpaid work. He was also ordered to pay £85 costs and an £85 victim surcharge.